Jake Armstrong with his award. Emily Russo is co-founder and co-president of the New York-based distribution company Zeitgeist Films. Along with her partner Nancy Gerstman, she has released of over 170 films, including early films by notable directors like Todd Haynes, Francois Ozon, the Brothers Quay, Atom Egoyan, Agnes Varda, and Guy Maddin. Zeitgeist is also renowned for its collection of ground-breaking documentaries including The Corporation, Into Great Silence and Trouble the Water. Ira Sachs is a filmmaker living in New York City. His work includes Married Life (2007), The Delta (1997), and the Sundance Grand Jury Prize winning Forty Shades of Blue (2005). An Adjunct Professor at Columbia University School of Film, Sachs is presently working on a new feature, The Goodbye People, co-written with Oren Moverman (The Messenger, Married Life), and adapted from the fiction of screenwriter and novelist Gavin Lambert. Peter Saraf co-founded Big Beach with Marc Turtletaub in 2004. Since the company’s founding, Saraf has produced Everything Is Illuminated, Little Miss Sunshine, Sunshine Cleaning, Is Anybody There? and Away We Go and executive produced Chop Shop. He is currently in post-production on Jack Goes Boating, directed by Philip Seymour Hoffman. Previous credits include Ulee’s Gold, The Truth About Charlie, and Adaptation as well as several documentaries including The Agronomist, which won the IFP Gotham Award for Best Documentary and the Academy Award nominated Mandela: Son of Africa, Father of a Nation. Nancy Abraham is Senior Vice President of Documentary Programming for HBO, responsible for the development and production of HBO Documentary Films which have garnered numerous awards over the years. Prior to 1995, Abraham was director of film acquisition for HBO’s international channels and spent three years as Director of Programming for HBO Hungary. Owner of the New York-based production company Loki Films, Heidi Ewing is the co-director of Jesus Camp, which was nominated for the 2007 Academy Award®. She and Rachel Grady are currently directing a feature length documentary on the pro – life movement, a film on Saudi teen rebellion for MTV and adapting the book Freakonomics to the big screen with several other directors. She is also the co-director of The Boys of Baraka, which was released by ThinkFilm in 2005 and was nominated for an Emmy. Since his twenties, Ron Mann has been making award-winning feature documentaries that focus on alternative and dissent culture. Woodstock has premiered many of Ron’s films and this year is proud to present his latest (and earliest work) Flak. In addition to producing and directing films, Ron runs Films We Like, an art house distribution company in his native Canada. As Senior Vice President of Film for Gen Art, Jeffrey Abramson oversees all film events and programming for five markets (NY, LA, SF, Chicago & Miami), as well as film content partnerships film industry and community relations. The 15th Annual Gen Art Film Festival takes place April 7-13, 2010 in New York City. He previously served as a market research associate at Miramax Films where he worked on such films as Shakespeare in Love, Life is Beautiful and The Cider House Rules. Amy Gossels has been the casting director, and in many cases a producer, for more than sixty film productions. Feature film casting credits include Something’s Gotta Give, Godsend, Milk & Honey and Shoot First and Pray You Live. Ms. Gossels has cast and produced more than thirty award-winning short films, including the Academy Award® winning Zen and the Art of Landscaping and Happenstance. Ms. Gossels also casts for a wide range of televison projects, including the Comedy Central 2008 Special Night of Too Many Stars; Lifetime Television’s upcoming series Mom’s Cooking; and three highly anticipated new productions from the creators of Blue Man Group, Counts Media and legendary comedy writer Bruce Vilanch, all slated to open on Broadway in early 2009. Stephen Garrett is a co-founder of Kinetic, a marketing company for foreign-language, documentary and independent releases. In the past decade, Kinetic has created more than 150 trailers for acclaimed films such as Half Nelson, The Lives of Others, Taxi to the Dark Side, Capturing the Friedmans, Wendy and Lucy, Let the Right One In and Gomorrah. Peter Bowen is editor of FilmInFocus and ­Senior Editor of Filmmaker magazine. He ­previously served as Editorial Director of the Sundance Channel. He has written for a range of periodicals and served on the board of the New Festival. Jonathan Gray is an award-winning independent film producer whose films have been screened at festivals worldwide. A practicing attorney since 1990, Gray is a dedicated advocate for emerging and established directors, producers, production entities, screenwriters, investors and distributors in film, television and other media. He is the senior partner at Gray Krauss, a full-service entertainment law firm. Jonathan is the former chairperson of the New York State Bar Association Committee on Motion Pictures. Annie Nocenti teaches filmmaking in Haiti (fiction, shorts and documentary). Her journalism and comics are published widely. She was the Editor of Scenario Magazine, and has made several short films. Her screenplay Patriotville was produced in 2009, and her script Escalate in slated for 2010. Since her arrival to New York, Signe Baumane has produced and co-produced, written, directed and designed eight independent animated shorts. She has continued her collaboration with Rija Films, where she directed two of her own stories. Her films have screened at such prestigious festivals as Annecy, Tribeca, Sundance, Berlin and Ottawa and have received numerous awards. Signe is a member of the Academy of Motion Picture Arts and Sciences and is a Fellow in Film with the New York Foundation for the Arts. She advises a series of film festivals in the U.S. on their animation programs and curates special shows where she personally presents films and filmmakers. Bill Plympton is often referred to as the “King of Indie Animation.” He’s completed six animated features and over thirty animated shorts. He has a new book coming out this winter, illustrating the lyrics of Kanye West, and is now starting his seventh animated feature film, about sexual jealousy. Haskell Wexler, A.S.C, is considered one of the most well respected cinematographers in the film industry today, His career spans six decades, and his work includes such films as Coming Home, Bound for Glory, One Flew Over the Cuckoo’s Nest, Who’s Afraid of Virginia Woolf?, Interviews With My Lai Veterans and American Graffiti. Haskell has received five Academy Award® nominations and a number of other prestigious awards honoring his outstanding achievements in the photography of a wide range of films. He won his first Best Cinematography Oscar® in 1967 for Mike Nichols’ Who’s Afraid of Virginia Woolf? and received the coveted prize again, ten years later, for Hal Ashby’s Bound for Glory. His other nominations were for One Flew Over the Cuckoo’s Nest (1976), Matewan (1988), and Blaze (1989). Sabine Hoffman has edited Rebecca Miller’s films The Private Lives of Pippa Lee, The Ballad of Jack and Rose and Personal Velocity. Other credits include Brother to Brother, Diggers, Off the Black, Saving Face, All Over Me, Hurricane Streets, Desert Blue, Harlem Aria, The Twelve Disciples of Nelson Mandela, The Party is Over and Academy Award® nominated Ferry Tales. She is an adjunct professor at Columbia University and serves on the Woodstock Film Festival Advisory Board. Brian A. Kates, A.C.E. ‘s work as a feature film editor includes the Oscar®-nominated The Savages (Tamara Jenkins); the Emmy Award®-winning Lackawanna Blues (George C. Wolfe) for which he won an A.C.E. Eddie Award; Shortbus (John Cameron Mitchell); The Woodsman (Nicole Kassell); and the Emmy®-nominated The Laramie Project (Moisés Kaufman). He was Jonathan Caouette’s co-editor on the groundbreaking documentary Tarnation, named Best Non-Fiction Film by the National Society of Film Critics. Brian recently completed the Warner Bros. production Nights in Rodanthe (George C. Wolfe). He is currently editing Taking Chance, his third collaboration with director/producer Ross Katz. Craig McKay is a feature film editor recognized with two Academy Award® nominations for Reds and The Silence of the Lambs, and an Emmy and Eddie Award for editing the NBC mini-series Holocaust, he has edited more than fifty films including Philadelphia, Cop Land, Maid in Manhattan, Everything is Illuminated and Sin Nombre. Doug Abel is a film editor based in Woodstock and he played a key role in editing the Academy Award award winning documentary The Fog of War. Other credits include Metallica: Some Kind of Monster and NBC’s TV series 30 Rock. 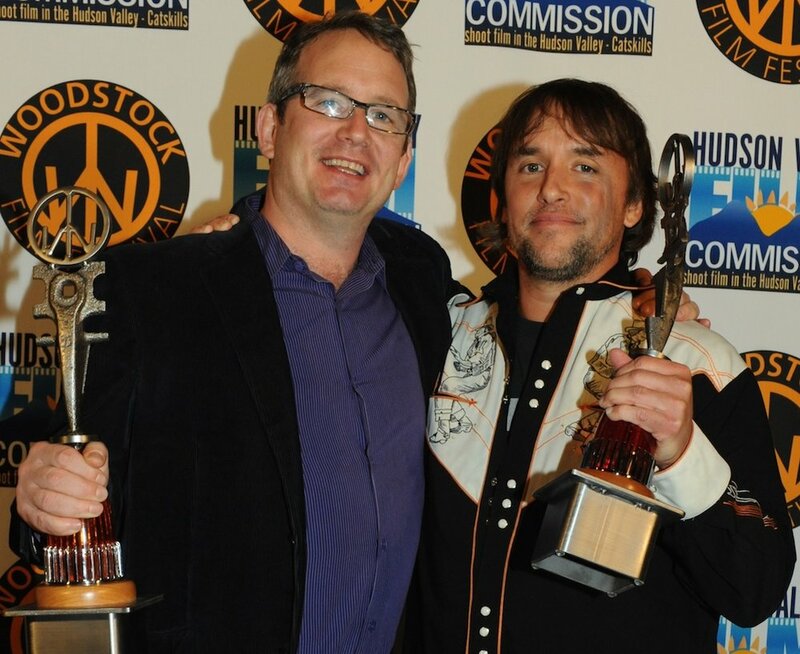 He just completed a new film with fellow Woodstocker, Academy Award® winning director Leon Gast. Sloane Klevin has been an editor of films, television, commercials and music videos for twenty years. Her most recent feature film, Taxi to the Dark Side, which she also co-produced, won the 2008 Academy Award® for best Documentary Feature as well as the WGA award for Best Doc Screenplay. She also received a Peabody Award and the jury prizes at the Tribeca and Chicago film festivals. Her other feature credits include Real Women Have Curves, Heights and Martin Scorsese Presents the Blues for PBS. She is a partner at Union Editorial and an Adjunct Professor of Film Editing at Columbia University.